The task of making the decisions of how to handle an individual's passing can sometimes feel a bit overwhelming. 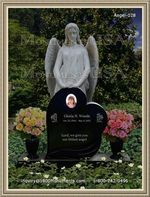 It may seem like one has to find a different vendor for each detail such as flowers, memorials and interment. To make the situation a little more tolerable, opt to use a Dignity funeral service provider. This is a network of more than 1800 providers throughout North America. They have funerary homes and cemeteries located in forty-three American states, eight Canadian provinces as well as in Puerto Rico. The company offers the convenience of a large corporation with the personalized feeling of a small town facility. 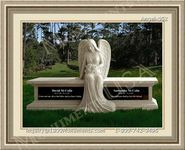 One location can make all the arrangements, leading to a smoother planning process and less stress for the bereaved. Each client receives a dedicated adviser who will assist with every aspect of the event from beginning to end. All the details, including creating memorials, setting up services, selecting flowers, an officiant and interment needs are taken care of as a full package. The sheer size of this network allows the company to offer extended services that many others may be unable to provide. These amenities include helping those who must travel in order to attend, find affordable rates on short notice. They are committed to delivering satisfaction even after the burial by offering assistance with legal matters and grief counseling. To ensure that every detail is attended to, the adviser will gently lead the client through each step. They take great care to create a service that honors the individual's religious, cultural and personal preferences. The company is flexible enough to assist with preemptive planning as well as any immediate needs. Using funerary service providers with many facets can make the entire process more simplified. From preparing memorials to covering interment details and even aftercare, every aspect is addressed. Grief counseling and legal assistance are offered as part of the complete package.